Usually sold as small, light flakes, nutritional yeast can be a very important part of a healthy diet for two reasons: its excellent nutritional value and its characteristic flavor. The taste of nutritional yeast is usually described as “nutty” or “cheesy.” It is frequently found as an ingredient in recipes that require a cheesy taste, such as vegan versions of macaroni and cheese, risotto, and various sauces. It also makes a delicious topping for popcorn, salad, or any pasta dish. A vegan version of parmesan can be easily made by combining equal parts of nutritional yeast and the nut or seed of your choice – such as walnuts, blanched almonds, or sesame seeds – in a food processor and adding salt and garlic powder to taste. (Adding salt makes the flavor “pop” nicely.) This condiment can be stored with a tight-fitting lid in the refrigerator for quite some time. Many vegans find nutritional yeast to be a superb source of vitamin B12. This is important because vitamin B12 occurs naturally only in meat, dairy, and egg products. Vegans, who do not consume any animal products, must eat foods fortified with vitamin B12 or take vitamins containing B12 in order to maintain healthy levels of this nutrient in their bodies. B12 deficiencies carry significant health risks, so this is an issue of some concern. Most – but not all – brands of nutritional yeast have more than enough B12 to meet the dietary guidelines of 6 micrograms (mcg) per day, so it is important to check the label for nutrient information. Although not very common, some brands may also contain whey, a dairy product, so do read the ingredient label carefully. In addition to being an excellent source of vitamin B12, nutritional yeast is a powerhouse of other B vitamins, protein, and fiber. Different brands contain different amounts of these nutrients. Red Star Vegetarian Support Formula is a particularly good source of vitamin B12, containing 130% of the USRDA (recommended daily allowance) per heaping tablespoon, which is considered one serving. That serving size also contains a remarkable 8 grams of protein, 4 grams of fiber, and an abundance of vitamins B1, B2, B3, and B6. Nutritional yeast, Saccharomyces cerevisiae, is a fungus related to the mushroom and is grown on a combination of cane and beet molasses. B vitamins are added in order to help the yeast grow, which is why it is such a good source of various B vitamins. After harvesting, the yeast is heated in order to deactivate it. So unlike active yeast, nutritional yeast will not cause bread dough to rise or liquids to become frothy when beaten. It is also different from brewer’s yeast, which has a very bitter flavor. Nutritional yeast is most commonly sold as flakes, though it also comes in powder form. If you are using the powder in a recipe, only use about half the amount that the recipe specifies, since it is much denser than flakes. 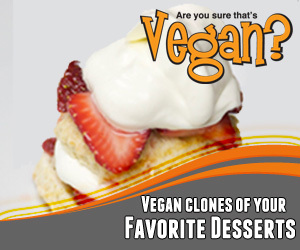 Click here for some vegan recipes that use nutritional yeast. Nutritional yeast has a delicate and delicious cheesy, nutty flavor that can enhance many dishes. It is also nutritionally dense. Its abundance of vitamin B12 is of particular interest to vegans, since they rely on fortified foods or vitamin supplements in order to include B12 in their diets. If you are interested in improving your health, helping the environment, and taking a stand against animal cruelty, please visit Vegan Journey for more articles about vegan living by this author.